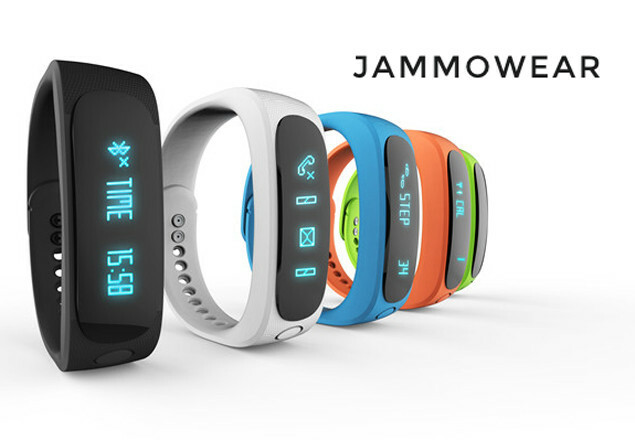 JammoFit fitness bracelet - Track your steps, calories and even when you sleep! With this exclusive offer from Rewarding Times we are offering the very unique JammoFit bracelet for only €39. These latest model Bluetooth fitness bracelets track your steps, calories and even when you sleep. Keep your phone in your pocket and see whose ringing or texting via the bracelet. These retail for €79 but can be purchased via Rewarding Times exclusively this week for only €39. Any queries before purchase you can contact ben@jammowatch.com and he will answer any questions. Vouchers can be redeeemed between February 15th & April 15th 2016. Contact Ben at ben@jammowatch.com with your order number and delivery address as soon as you purchase the offer. Not available in conjunction with any other promotional offer. Price includes delivery anywhere within Ireland only. Please provide a contact number for the delivery address to assist the couriers with successful delivery. Saving based on information provided by the partner as of offer start date. Select the gift option at checkout and we will email you a gift voucher to give them.